Most vegetables are delicious on their own—in their raw state. But sometimes its fun (and tasty) to add just a little umphf. In this case, that umphf is some smoked paprika. Toss the beans in some of that and the smell with be reminiscent of bacon. These are easy to make and easier to eat. 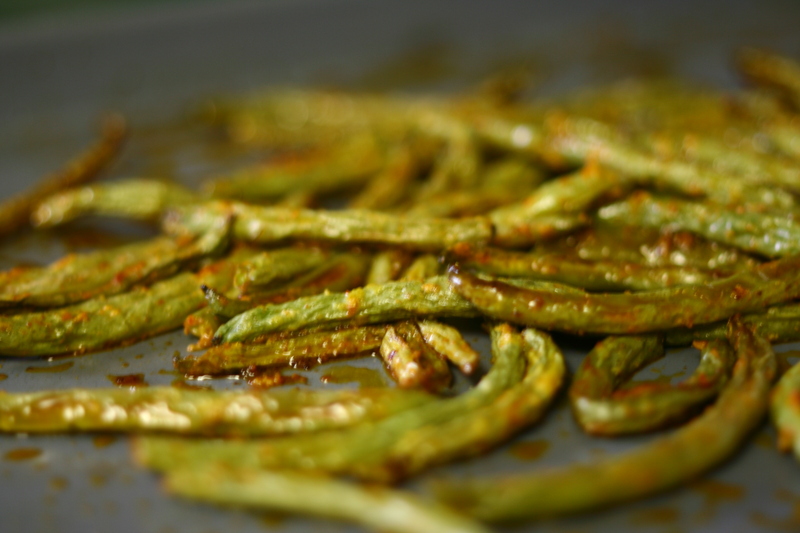 Wash and trim the ends of the green beans. Place beans in the oven for 30 or until they start to brown a bit. There you go! Enjoy these as a side with anything that you are cooking up (e.g., we ate them with a Smokey Mac & Cheese). This was so delicious. It will be my go to green bean recipe from now on. I still love this recipe and use it all the time. It’s amazing how the right recipe can turn a vegetable into your favorite.